Best Star Wars Toys: In the history of Hollywood, there is hardly an example greater than Star Wars, directed and conceptualized by George Lucas, of what happens when Hollywood meets business. The Star Wars franchise, which started in 1977 with the classic Star Wars: A New Hope, is currently worth more than 42 billion dollars. At least a major part of these is due to the continued and ever-growing sales of 2019. To commemorate the release of the 2017 blockbuster, Star Wars: The Last Jedi, and in anticipation of the next film in 2019, we have drawn up this list of the best Star Wars toys of 2019. At the moment, the franchise holds a Guinness World Records title for “Most successful film merchandising franchise.” This status will only be enhanced now that the latest movie has proven to be successful. From R2D2 and C-3PO to Kylo Ren and the First Order, the franchise has produced many memorable toys and associated merchandise. We have this list of the coolest Star Wars collectibles so that you have an idea of what to buy and which items you can safely ignore. You can read more about the strange alliance that Goerge Lucas and the toys have. One of the most enduring characters of the entire franchise is Chewbacca, referred to by Han Solo affectionately as Chewie and known worldwide by that name. Chewbacca is a Wookie and his toys have been fan-favorites ever since they were introduced nearly four decades ago. The Star Wars The Force Awakens Chewbacca Electronic Mask is one of the most popular Star Wars toys for children currently. The item is recommended for kids of 5 and above. 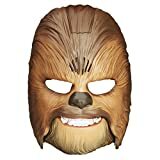 The concept of the Chewie electronic mask is simple: the child, and sometimes the adult, wears one to look like the Wookie. The mask comes with its own animatronics and there is a built-in Chewbacca roar which can be heard once the mouth is opened. Open the mouth a bit wider and the roar gets louder. The mask also has adjustable straps to keep it in place and ensure that it does not slip off. The mask is one of the most comfortable Star Wars masks currently available. The item is constructed of durable plastic and can be cleaned in a jiffy for naughty kids. The Chewbacca toy may not be the most original product on the list but it certainly is one of the most value-for-money ones. The roar and the comfortable fit ensures that the kids enjoy the mask to the fullest. Overall, this is a great buy. Revell manufactures what has got to be one of the best life-like model of the legendary AT-AT Cargo Walker that became famous with the release of the original trilogy. This is the best Star Wars toy for 8-year-olds. The Empire’s AT-AT Cargo Walker is probably one of the best bets that the Empire has in order to defeat the rebels. The entire gear also plays a significant role in the movies as well. The building kit is designed to improve the children’s problem-solving skills, motor skills, finger dexterity and other skills related to spatial intelligence. It is basically a 45-piece puzzle set that needs to be assembled and which does not require any special adhesives or similar tropes. Without any need of any external glue or supporting structures, the pieces snap into place to create a realistic depiction of the formidable weapon that the AT-AT is. The cargo walker has fully poseable limbs and the command cockpit lights lend it an element of authenticity. The Imperial transporter also has fantastic and life-like battle sounds which will doubtlessly kids of any age. For creative Star Wars toys enthusiasts, this has to be one of the safest bets. Enhances kids’ motor and spatial skills. One of the best Star Wars toys of 2019, this AT-AT set has everything it takes to be a successful toy. At its heart, it is essentially a puzzle-assembly piece and is ideal for boosting kids’ intelligence. Built to be durable, the Cargo Walker building set looks exactly like it did in the movies: impressive. Darth Vader remains, to this day, one of the most enigmatic and unique characters of the Star Wars universe. An early proponent of the Dark Side, his characteristic lightsaber, and voice, originally by James Earl Jones, have endeared him to millions of fans all over the world. 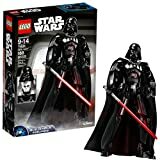 The LEGO Darth Vader building set is capable of creating a 12-inch model of the famous alter-ego of Anakin Skywalker. The entire set has more than 168 pieces. It features an authentic-looking textile tunic and cape, the latter of which flows like in the original movies. Combined with the lightsaber and the cape, plus the fact that the chest and headpieces look so authentic, and with the limbs eminently movable, the building kit is easily one of the best Star Wars toys that we have come across so far. The limbs can be moved around to form any realistic battle pose. It is remarkably sturdy and easy to set up. The attention to detail is evident judging by the way the chest piece is constructed. The removable helmet is also something that has been reworked this year. At the end of the day, what matters is how innovative or how interesting a toy is. Well, this Darth Vader kit certainly looks like it has hit all the right buttons as far as making something look sinister (and decidedly Dark Side-ish) is concerned. The Darth Vader LEGO kit is meant to enhance your kids’ roleplay and game time that much better. Ah yes, the Death Star. The all-powerful base of the Galactic Empire without which no true Star Wars tale is complete. This aptly named 3D puzzle originally was one of the most frustrating, as well as one of the most intriguing, puzzles to have ever been created. Now, with the help of the Death Star, the difficulty and interest quotients have been ratcheted up a little bit yet again. This puzzle game has many interesting angles and challenges the kid’s perceptive skills as well as their problem-solving skills. It boasts the familiar twists and turns and loops that made the original puzzle so delicious. It will also improve the hand-eye coordination of the kids, as well as the concentration. The premise is remarkably simple: the player has to navigate the X-wing Starfighter into the Death Star’s deep and dangerous tunnels and reach the core of the planet-sized spaceship to destroy the base. The toy also tests the child’s innovativeness and attention to detail, especially when the base is being destroyed. The sense of balance is also tested well. Overall, this is one of the best Star Wars puzzles of 2019. It is true that manually operated puzzle games are no longer in fashion. However, this Perplexus model might just stem the tide. It is an important toy for it combines problem-solving and learning aspects into one. Besides, the toy also looks beautiful when pt inside its original display case. What the R2D2 droid was to the original Star Wars trilogy, the BB-8 is to the spin-offs and the later versions. The BB-8 does seem to be an advanced R2D2 model with improved mobility. 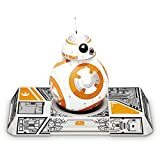 The Sphero BB-8 droid review must include the fact that the model boasts of an autonomous behavior and is also very aesthetically pleasing. Besides, the droid can be controlled by Bluetooth and also comes with a trainer which helps the user, kids, in this case, get accustomed to it. The device also has a Holographic simulation mode with respect to the original droid that we saw in the movies. You can also code and teach the droid to work in tandem with your signals and signage thanks to the apps that are available for Android and Apple iOS platforms. Unlike R2D2, this model was notable for having a spherical moving structure which allowed the BB-8 model to work on all types of terrain unhindered. The same is true for the toy BB-8 model too; it is remarkably fluid in its operations. The technology also allows the scale model of the BB-8 to seem like the real deal, albeit on a much smaller scale. Note that the advertisements of the device are actually much different from what the top Star Wars toy can actually do. It does not have the adaptive AI that the ads lead us to believe. The toy still keeps on bumping into objects. Also, the holographic projections are not cast from the droid itself but come as notifications on the phone where the app is installed. Sphero has indeed made a revolutionary product but there remain some areas to be improved. One of the most innovative Star Wars collectibles, the BB-8 droid comes with a trainer which helps the user control and manipulate its movements and commands. This is also one of the cutest Star Wars toys out there currently available. LEGO has never failed to amaze us with its consistency and creativity. 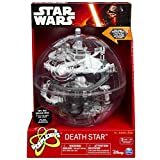 This idea is reinforced with this special item: the Death Star final duel kit. Remember when Darth Vader turned against the Dark Side and showed his human side to once again become someone akin to Anakin and save the life of Luke Skywalker? Well, using this top Star Wars toy, you have the chance of changing or altering that fateful outcome. The scene is arguably one of the finest in the entire Star Wars franchise. Now, using this 720-odd pieces, you can act out that iconic scene which goes on to show that there is no dark force which can turn a father against his own offspring. The kit is well-designed and easy to use. You can, for example, send the evil emperor down the enormously deep shaft and finally end years of his oppressive and tyrannical rule. This is one of those games where the child’s dexterity and cognitive ability is challenged. This means that it is also one of the all-time best educational Star Wars games of all time. You can now build and rebuild the iconic set numerous times to act out your wildest fantasies in great detail. Who knows, you can also change the cinematic destiny of the canonical Star Wars universe itself. This is our pick as far as the best Star Wars toy of 2019 is concerned. It places so much emphasis on identifying with existing cinematic history that it is easy to connect with the toy at first sight, even if it is still only a toy. It also lets us explore the sets of the great scene from a great film in supreme detail. A great buy overall. Without a doubt, one of the single most important thing that the Star Wars franchise gave us was the lightsaber. There are many different kinds of flashlights; in this case, we have Anakin Skywalker’s lightsaber flashlight. The toy lightsaber looks authentic enough to be believable. 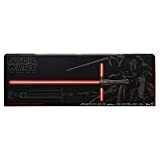 This best Star Wars Lightsaber Flashlight toy is ideal for all children in the age bracket of 5 and 15. It does not matter whether you are a Jedi apprentice or a Sith follower: a lightsaber is a must. This is basically a deep blue LED flashlight which lights up like an actual lightsaber whenever you are using it in a darkened room. Whenever the flashlight is in use, the lightsaber does look extremely accurate as seen in the movies that we grew up with. The bright blue LEDs are something that is supplemented via the 3 AAA Batteries included with the toy set. The lightsaber sound effects are also equally outstanding. Overall, this is also a very important toy as it is one of the safest Star Wars toys currently available. The lightsaber is as easy to use as it is good to look at. VerdictThe Anakin Skywalker is easily one of the best toys there currently is. It is bright enough to look like an actual lightsaber too. Interestingly, this item is clearly one of the top Star Wars toys under $50. You have to buy it to know it. Yet another lightsaber that must be accommodated on this list but is also rather different from the previous entry is the Black Series Kylo Ren Force FX. The light and the sound effects are splendid and it is also one of the brightest lightsabers for kids that is available. The Star Wars Force FX Deluxe Lightsaber is definitely one of the top Star Wars toys simply because it does what it does in a unique way. This lightsaber comes with something that few comparable lightsabers have: a neat metal hilt made of an actual metal. This makes it stronger, more capable, and stronger in the first place too. The entire Star Wars gift item consists of one Lightsaber, a display stand, and detailed instructions. Given that Kylo Ren uses a unique variety of lightsaber, it stands to reason that the mock model also be of an extremely high quality. The model does not disappoint on either count. This is the best lightsaber from Star Wars meant for kids. It has great features and works on batteries which are easily available.The device is totally safe to use to and is guaranteed to give your kid a lot of playing time with good memories. 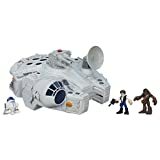 The Millennium Falcon, as most Star Wars enthusiasts know, is the command vehicle of Han Solo and is one of the most recognizable action figures. When we were younger, we still used to be proud of the Falcon and what it could do. Now, with this Playskool toy in tow, you too can become a part of the revolution that was Star Wars. The entire Star Wars toy looks very realistic and authentic. For example, it also has been to recreate the classic Episode IV escape scene that is the favorite scene of many of the more discerning viewers. also, keeping in mind the fact that most true Star Wars toy and gift sets, this model is pretty large. If you separately buy the C-3PO figure, this too will work on this set. We must admit that this probably is the best Star Wars toy for 3-year-olds. It looks extremely attractive and is very stylish. The command vehicle is big enough to have a detailed look at it. Overall, this is a great Star Wars collectible. It is a sub-$50 item and also has the Falcon and the figurines of Han Solo and Chueiw in good proportion. Overall, this is one of those items that you can also give someone as a toy too. As the name itself suggests, this is one of the most deluxe items on the list. To mark the arrival of the movie, Star Wars: The Force Awakens, all of the new and old characters have been put here and they look remarkable as they are posing in their trademark poses. This can be the best Star Wars gifts of 2019 as well. Besides, you can also use it to showcase the inner nerd within you. While you will want to be someone like Han Solo or Leia, the kids will have lots of fun playing with the other, lesser-known characters. Together with that fact that one of the newest members of the universe, Captain Phasma, is also on the list, you will more than get your money’s worth on this list. What we like the most is the excellent construction and the attention to detail which this set has. It is easily one of the top sets on the list and it certainly seems like a good choice for many players, young and old. All in all, this set has the power to make your kid happier in their dream world where they can be anyone that they like. Naturally, one of our favs. This is one of the best Star Wars toys 2019 for the simple reason that it is well-constructed, has a great degree of movement and is very lifelike. Overall, the reason we liked it so much is that it not only has a purpose to it but can make the kids actually start to emulate the heroics of the participants. Before you purchase your favorite Star Wars toy, ensure that the device is worth the money you are spending and is ideal for age-group that your child belongs to. In this way, not only will the toy have more value, it will also be better enjoyed. The best Star Wars toys of 2019 are not those which are expensive or good to look at: they are the ones that can bring out the magic behind the figurines themselves. Happy shopping and may the force be with you.